In recent years, we’ve seen numerous make money online programs enter the industry and promise to help millions of people earn money. While some have been successful, others have failed miserably. With Daily Cash Siphon causing somewhat of a stir over the past few weeks, we thought the service should be addressed so you can have a better idea of whether it works…or not. In this Daily Cash Siphon review, we’re going to explain how it works, what they offer, and whether we recommend the idea moving forward! Like others, you might be here because you’ve been sent a ‘private’ invitation to join this new and exciting page. After clicking on the link, or perhaps just stumbling across the website online, you probably found a page promising a ‘weird trick’ that takes advantage of a $480 million glitch. Essentially, after signing up through ClickBank and paying $37, they say you can join thousands of others in legally siphoning £296 per day. From the outside, this looks like a great deal. Since we’re all now experts in the art of pessimism when it comes to online platforms and programs, you’re probably sitting there waiting for the catch that makes it a waste of time. Let’s dig a little deeper. 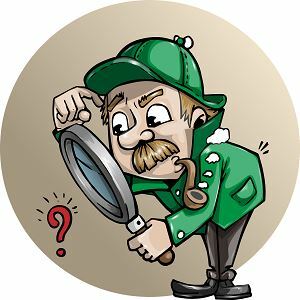 For starters, even the most experienced internet investigator will struggle to learn more about this company. Once you get past the small piece of text and video on the sales page of the website, there’s not really much else to see (apart from the small print at the bottom). In fact, there’s a complete lack of information regarding the business as a whole on the internet. After some research, we struggled to find out who owned Daily Cash Siphon, when the website launched, and other basic information. If you decide to go ahead with full membership, the experience you have is likely to differ from the one promised. 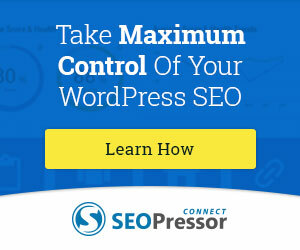 Ultimately, they want you to set up your own blog, over 60 videos are available for help and then take advantage of specific, ‘secret’ techniques for gaining traffic (selling their own product). Unfortunately, the website and overall product offer little to no information on the exact training you’ll get after purchasing, where the traffic comes from, whether you’ll have to write posts, etc. For us, the lack of information was worrying and the first red flag we encountered. Previously, we noted that you can try the system out for $37 but you’ll be paying much more than that if you want an all-inclusive experience. Using an affiliate promotion page, we gleaned some more information including the fact that there are three upsells after the initial purchase. While the first upsell costs $197, the next two are $187 and $97 respectively; this means that the overall cost for ALL the features will be over $500. Of course, all websites like this are trying to create a self-sustaining system whereby you spend over $500 on training before then selling the product on their behalf. If you’re to do this, they promise a 75% commission which means you’ll earn around $350 if you manage to convince somebody to buy the whole package. Over the years, we’ve seen these kinds of websites time and time again so, although this is a new website, the idea isn’t exactly the ‘secret’ we were promised. Sticking with the theme of ‘finer details’, the video on the website shows a creator named Kate Shallard and she explains how everything works. Just as we’ve seen before, this isn’t her real name and we can’t even be sure she has anything to do with the company (besides being in this video). In the small print, it says she’s using a pen name and we couldn’t find a real name anywhere. At this point, you’ve probably noticed our stance towards this particular platform and this is because, if you look across the internet, you’ll continually find negative reviews for it. In most reviews, you’ll see that all platforms have a problem or two but they’re generally backed by a solid foundation and plenty of positives. With this Daily Cash Siphon review, we’re struggling to see where the value comes in for you. Below, we want to explain why this is the case! 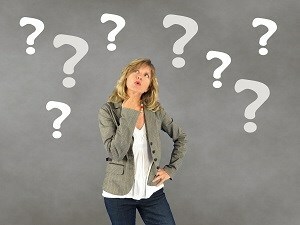 Lack of Training – While the training videos are good for learning about WordPress and setting up a website, there’s no real information on making the website secure or email marketing. If you don’t already know how to get an SSL certificate for Google, for example, this is research you’re going to have to do in your own time…even after paying $500. Existing Ideas – Essentially, the whole business is built upon taking advantage of a huge secret; it makes you feel as though you’re joining an elite club. In reality, the secret is blogging; something that’s been around for the past two decades. When a company starts misleading customers and hiding the truth of what the service offers, this can never be good news. Difficult Sell – If we’ve spotted the glaring errors of this platform and you’ve spotted these errors too, most other people will do the same and you’ll struggle to make any sales. Even if you want to set up a blog for a different purpose, there are many other platforms that’ll help you to get started with much better training. One such platform is Wealthy Affiliate where you can even get a FREE Starter Account to see the whole platform and decide it’s right for you. 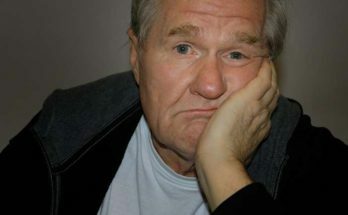 Done for You – Finally, the lack of training could be down to a problem that many users have stated which is that they want to keep you dependent on them. Rather than teaching you everything you need to know for success, they keep certain bits of information behind which leaves us needing them to continue. In the past, plenty of people have been stuck with businesses like this and it’s a path that leads to frustration and no money. 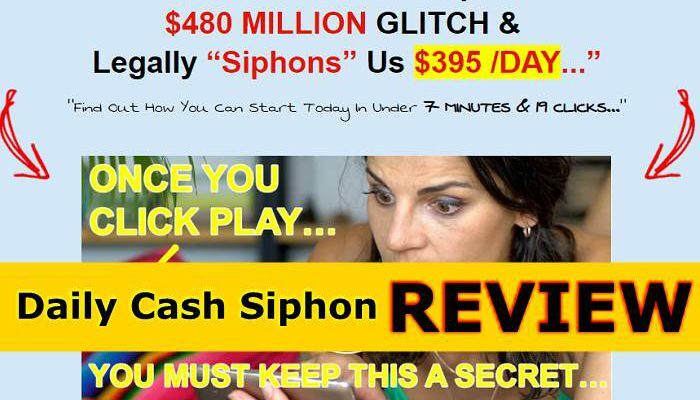 So, this Daily Cash Siphon review has all been leading up to the big question; is it possible to make money with their help? Perhaps the best way to answer this is to see how successful their customers have been so far. Without meaning to be too blunt, the answer to this would be ‘not very’. While researching to create this review, we’ve seen nothing but negativity. 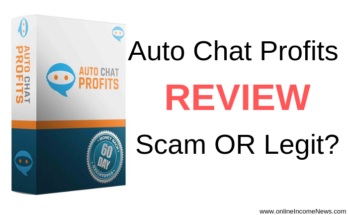 Comparing this platform to the very worst we’ve seen in the market, it seems to be a little better with a 60-day money-back guarantee and some (incredibly) basic training. However, it pales in comparison to the many high-quality platforms we have available today. Although we always try to stay positive and at least offer some constructive criticism of affiliate marketing platforms, this one isn’t worth your time. If you take something from this Daily Cash Siphon review, hopefully, it’s that research will always pay dividends. In just ten minutes, we got enough of an insight into this company to know that it wasn’t worth recommending. Of course, we would never want to push anyone away from the opportunity to earn money online so please continue your journey and find the platforms that really do provide good value for money! Unfortunately, there is no free ticket to success. You have to pay for it, and you pay in advance. 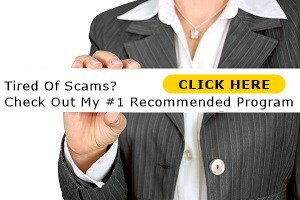 If you are tired of scams and want to build a real online business then read my #1 Recommended Program Review which you can even start for FREE! I hope you enjoyed this Daily Cash Siphon Review if you have any questions or you just want to leave your own personal experience, leave a comment below. I would love to hear from you! There are so many of these affiliate marketing training programs. They’ll take your money after making many promises. However, until and unless you do the work, you won’t reap any of the benefits. You are right! Sadly, there are too many programs online these days that promise the earth but can’t deliver on their promises. What’s heartbreaking for me is the fact that majority of the people who get caught for these scams or get rich quick schemes are usually the ones who can least afford to lose the money. 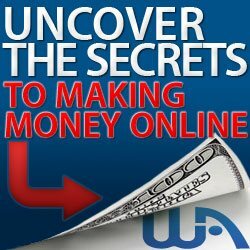 Making money online is not rocket science, you need 3 things to succeed online, Education, Website and Expert Help. These 3 things can help anyone, who is prepared to put in the effort, succeed online. Wealthy Affiliate training platform provides these 3 things and what we love about WA is the fact anyone can get started with a FREE Starter Account and check out the whole platform to see if it suits their requirements.